Andrew Casto (Personal show 2017). Louise Hindsgavl (1973, Denmark) is one of the greatest women ceramic artists of today. 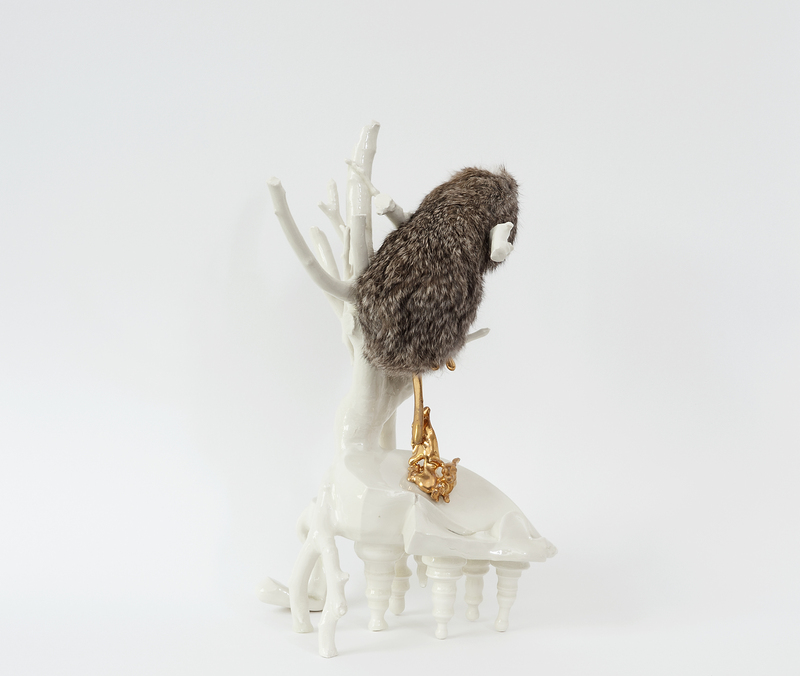 Hindsgavl uses the characteristics of porcelain - such as refinement and civilization - to describe uncivilized situations. Her sculptures unexpectedly depict startling and controversial subjects in shiny white porcelain. She lets the fragile delicate material clash with hard motifs and by doing so she plays ironically with the expectation of innocence a delicate porcelain figurine traditionally represents. Instead of beauty and refinement a closer look at her objects reveals disoriented, helpless individuals who are trying to find their way in a world that no one truly understands. 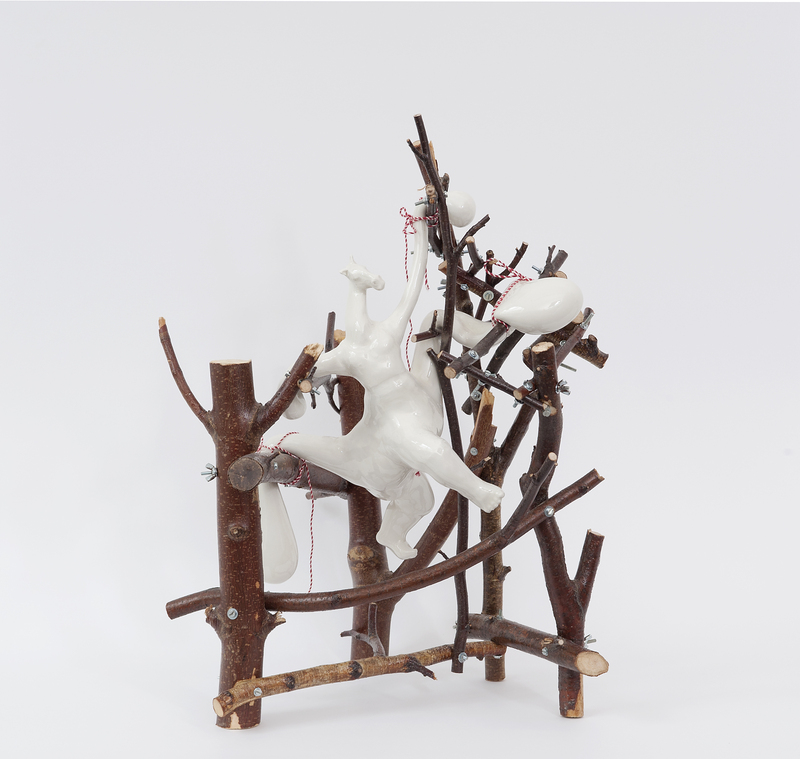 The exhibition will feature a selection of her wall mounted pieces in porcelain and metal and freestanding sculptures. Her most recent work offers a close up view of her wicked scenarios - as if she is helping the viewer to zoom in on details which would otherwise go undetected. Hindsgavl graduated from the Ceramics and Glass Department of Danish Design School Kolding in 1999. While she originally started out making cups and plates she became worldrenowed for her provocative figurines. She has won several grants and awards and her work has been exhibited at many prestigious galleries around the world. This is the third time Louise Hindsgavl is showing at Puls. Living with ceramics, Louise Hindsgavl (Personal show 2004), Louise Hindsgavl (Personal show 2011), Love Your Figure, Love Your Figure II, .